Greetings from Hot Springs, N.C., and AT mile 274! I dropped out of the trail to resupply in Fontana, a great little tourist town just south of the Smoky Mountains. Upon getting back on the trail I had the opportunity to see the legendary Fontana Hilton. The Hilton is a hiker shelter that has a picnic area, solar charging station, water spigot, and showers. By thru-hiking standards, this is truly deluxe. So deluxe that I met one hiker who, with no incentive to leave, had been there for ten days. As I was leaving I mentioned that I was going into the Smokies if anyone was interested in joining me. There was no response. I was surprised to find that the hiking didn’t differ very much from the hiking in Georgia with the exception of a greater elevation. I half expected something mythical to occur, but alas, the forest and trail were largely the same. 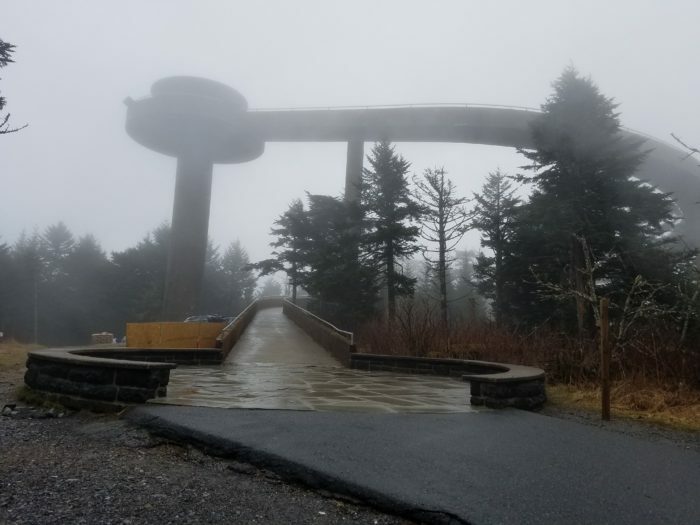 As you approach Clingmans Dome, the highest point on the AT at 6,600 feet, the forest changed from deciduous to coniferous trees, which was different. Here’s the thing. On the AT you are in the trees aaaallll the time. You can rarely see more than 100 feet ahead at any one time. It’s like being on a treadmill where you’re moving, but everything looks the same. I know of one guy who came out of the shelter in the morning and proceeded to hike in the wrong direction… for over 2.5 miles! That was five miles added on to his day. Everyone hates a false summit; you know when you think you’re at the top of a hill and it turns out it was just a plateau. Well, picture about 100 false summits a day because you can only see 100 feet at a time. And the summits are all tree-covered summits. It is not uncommon to read in the guide, “approaching the viewless summit.” Clingmans Dome has a viewing tower so you can get above the trees and see something. Everyone on the East Coast knows that the weather this past week has been challenging to say the least. The Smoky Mountains were no exception. We were, however, lucky that while very cold, the rain and snow reared its ugly head mostly at night. The temps dipped and I found myself sleeping in the shelters for the first time. 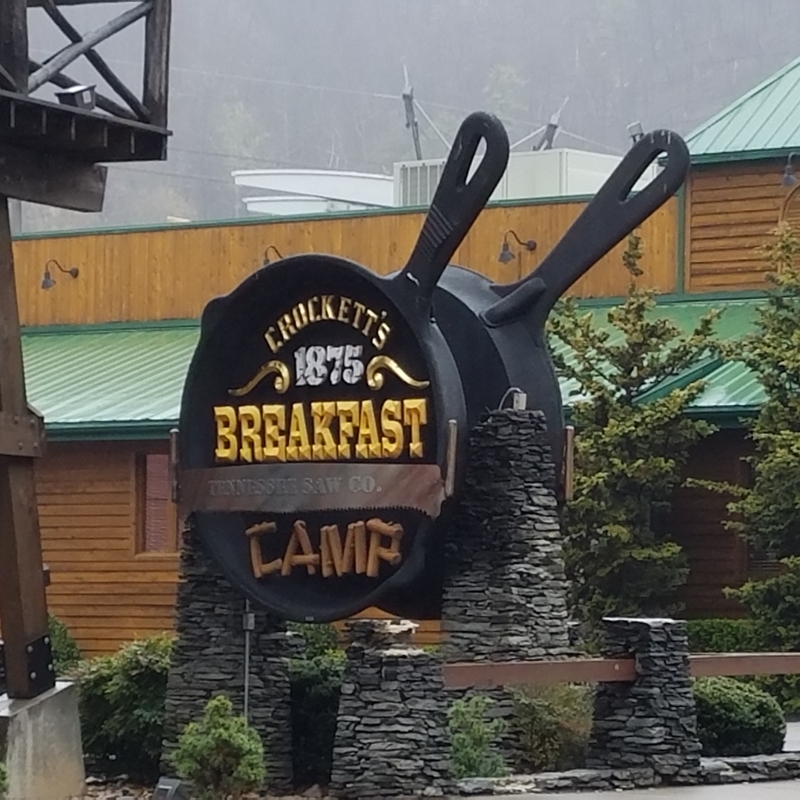 Shelters in the Smokies have tarps over the openings and fireplaces, which make for a comfortable night’s rest in comparison to a tent. My first night at Mollies Gap Shelter there was no room as everyone was entering the Smokies. But, due to differing mileage, everyone exits on different days. After Mollies there was separation enough that the shelters I stayed in were rather sparsely populated. 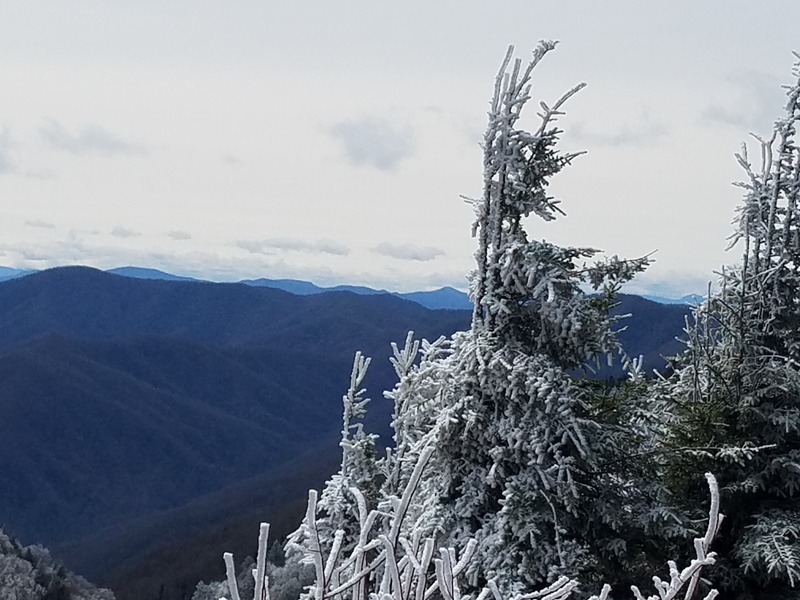 Make no mistake, it is the weather, not the hiking, that makes the Smokies a challenge. Feeling decidedly hypothermic one evening, I had a friend texting me for “warmth checks.” I truly am lucking in regards to my friends. A severe storm and frigid temps in the teens was predicted for my third day in. I was hoping to make it through in four days, but decided to hike a half day (11 miles) and head into Gatlinburg, Tenn. Gatlinburg is described in the AT guide books as “the oddest town along the AT.” It is a tourist town with all that entails, from souvenir shops to restaurants with giant frying pans for signs. I got a nice room at the Quality Inn and proceeded to turn the heat up to sweltering. My decision to go into Gatlinburg was benign enough. It was cold, foggy, wet, and the trees felt like they were closing in on me. Others I had spent the night with had already retreated to the town first thing in the morning due to the weather report, but I decided to hike farther and see how the storm progressed. Upon reaching the road and contemplating getting back on the trail to the next shelter or hitching a ride in, three gentlemen finishing trail work mentioned that the road was closed due to snow and ice and they were the last car going down. I decided to go in. I mean, it was the last car out, that’s a sign right? I have depression. It is both the family curse and the family secret. We all deal with it in our own way, and mine has always been through adventure and physical activity, especially in the great outdoors. The decision to go into Gatlinburg was made not due to the weather, but rather because I was not enjoying the hike. 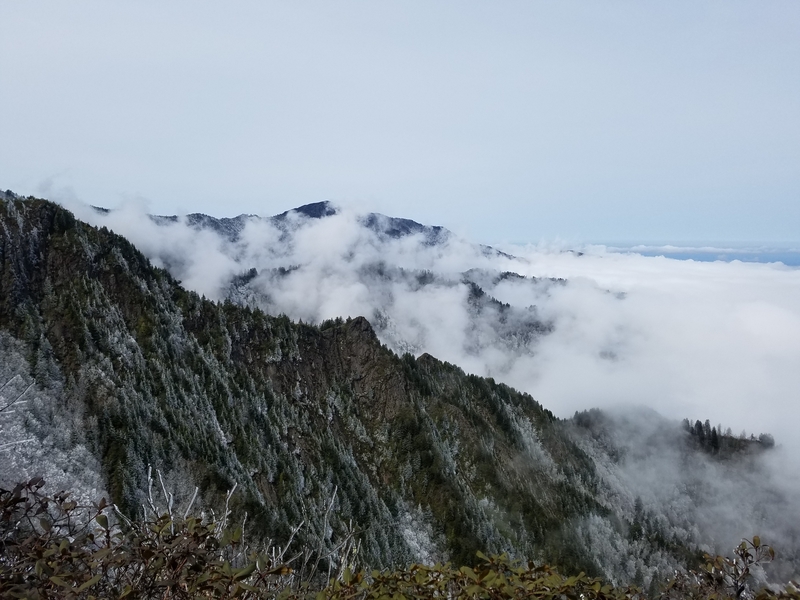 I knew hiking in the trees for 2,000-plus miles was going to be a mental challenge, but I never imagined it would lead to a depressive event so dark that I almost left the trail. Anyone who suffers from depression knows how falling into that dark pit can feel. It is a time when you really need people to gently push you forward and into the light again. Between the rain, fog, and claustrophobic trail, I just couldn’t see the point in continuing. The mountains that usually bring me solace and ease my symptoms were turning on and closing in on me. Once you are in this dark place, for a time nothing in your life makes sense. I of course called my mother, which only caused her to worry all night. 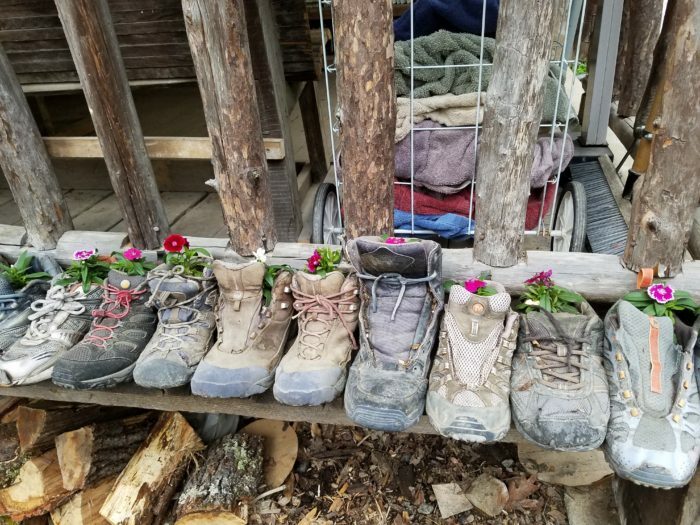 However, thanks to two friends (you will never know how much you helped me that night) who understood where I was at, and communicated with me throughout that day in town, I was able to cry it out and get back on the trail the next day. I have depression, but it’s not all that I am. Sunday the road reopened and I went back into the Smokies. I didn’t know if my “episode” was a one and done or a more permanent addition to this trip, but I was in good spirits. After calling and reassuring my mother that I was OK, it was time to continue. It was a beautiful day. The snow was clinging to the trees and the sun was shining. Ordinarily, being in the trees would be a challenge, but with all the snow, it made the trees the star attraction. But it got even better. There was a mile or so where the trail went across a ridgeline and lo and behold you could see for miles. The tree-topped mountains that were so very ordinary just a day ago were glorious today. It is as if the Smokies knew what I needed and gave it to me in spades. 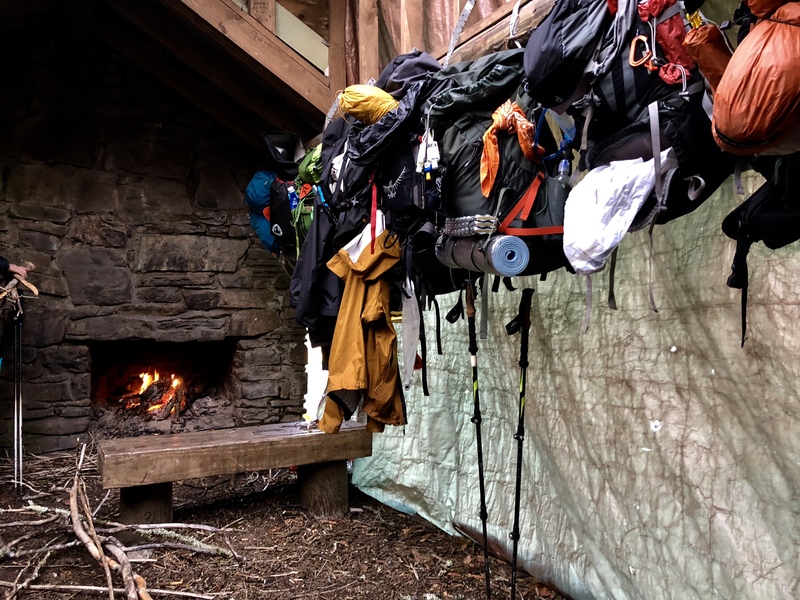 Upon getting to the shelter there was a friendly group of thru-hikers already making a fire for the night. Standing Bear Farm is a funky little hostel just outside the Smokies. It was a great place to get a bed for the night and commiserate with fellow hikers before heading on to Hot Springs. Who doesn’t love a pizza and Fat Tire beer. So here I am in Hot Springs at mile 274. Although the town is not as quaint or “dope” as I had been led to believe, it is a great place to relax, rejuvenate, resupply, and contemplate the next 274 miles. The storm has passed, the sun has been shining for two days, and I have a burger in my belly and a warm bed. Life is good. Or at least I’m still on the trail. You go girl. You have courage and the guts to put it to good use. Love your writing style and I appreciate that you look for the beauty the trail can give you. Looking forward to more updates from your adventure and hearing of your success at Katahdin. Thanks for sharing your journey AND its struggles (including depression). 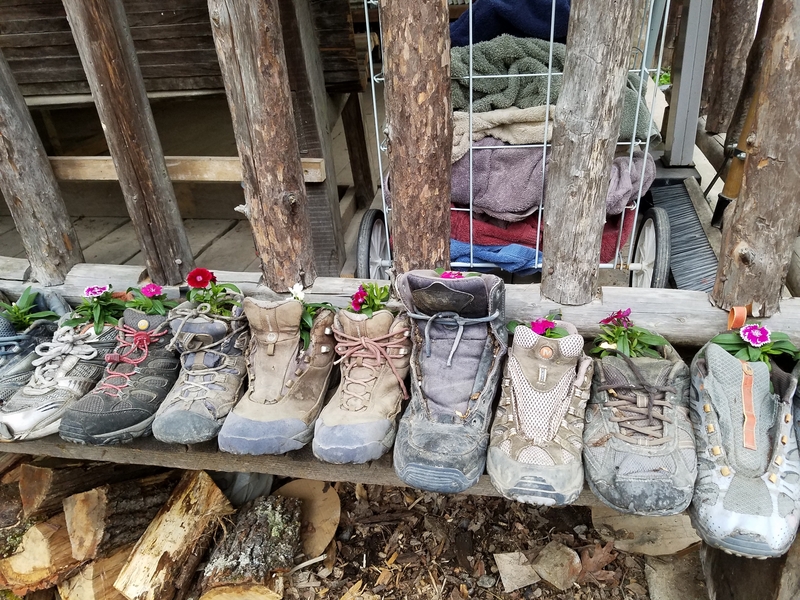 I have hiked to raise funds for mental health in the past, but only someone who has specific struggles can truly identify with and understand someone else with those struggles. Since I don’t have this one, I applaud you for putting it out there; you’re definitely not alone and now others can see this and know they aren’t alone either. It is what it is, no use in hiding it. That only causes isolation which makes everything worse. You are a rockstar Burly!!! Thank you for sharing your journey. You are one of the bravest people I know. Be safe, love you, and continue to kick A!!! I love and miss you too Kiddo. Give hugs to everyone for me. Did you meet Peaches the orange kitty at Standing Bear? No, unfortunately I missed Peaches.